Author: Paul Newman. Series edited by: Dymitr Ibriszimow, Henry Tourneux, H. Ekkehard Wolff. 10 pp. Roman, 103 pp. 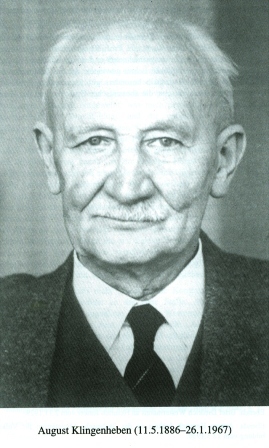 In 1927/28, August Klingenheben (* 11 May 1886 in Barmen/Germany, † 26 Jan 1967 in Hamburg) published a remarkably insightful study of syllable-final consonants in Hausa. The findings in this important paper, which are now referred to as Klingenheben’s Law, set the groundwork for the understanding of Hausa historical phonology. Klingenheben’s Law has been accepted naively and uncritically, more or less as originally described. In Part I of the present monograph, the author provides a detailed analysis of Klingenheben’s Law with the aim to show where it is accurate, where it is inaccurate, and where it can be modified and expanded so as to account for the broader array of data that is now available. Since not everyone has easy access to Klingenheben’s original paper, and since many scholars whose command of German, or lack thereof, puts the paper beyond their reach, the author has prepared an English translation of the original paper along with historical and analytical notes, which constitutes Part II of this monograph. 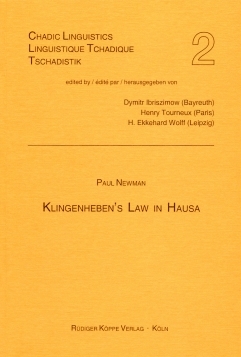 Thus, whereas the author identifies a number of specific matters where Klingenheben’s description could be improved upon, this study served to increase the author’s appreciation for his contribution to Hausa linguistics and to strenghten his professional admiration for the exeptional quality of his scholarship. The book is an important publication in the field of African linguistics which summarizes the achievements of Hausa historical phonology and makes them accessible to the wide range of specialists. Newman redefined Klingenheben’s Law in narrow terms as describing the historical behavior of syllable-final consonants within a word. It would be by no means an overstatement to say that it is a completely new law. In spite of its signicant modifications, the law itself, being recognition of important features and characteristics of phonological changes affecting syllable-final consonants in Hausa, is still attributed to Klingenheben. Its specific extension related to reduplicative forms, however, is worth separate qualification and understanding, and deserves being labeled as Newman’s Law of Codas in Reduplication.